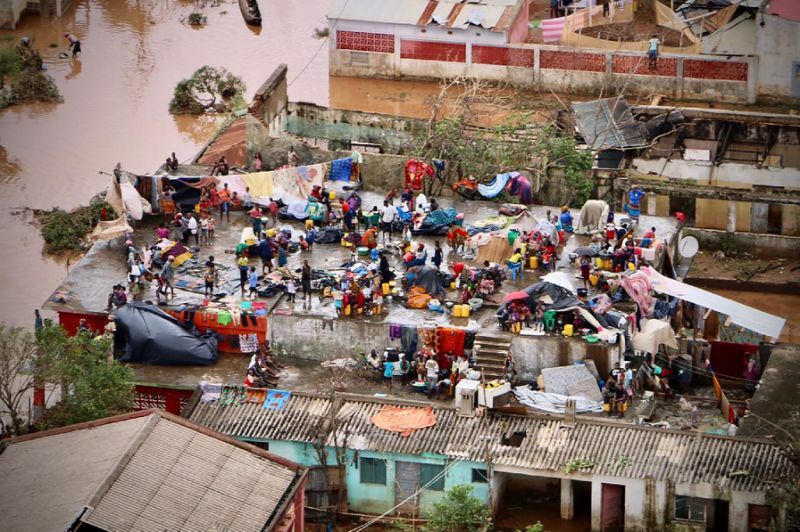 (from an Associated Press report at the UK Daily Mail) BEIRA, Mozambique – Authorities in Mozambique say that with a key road open to the badly damaged city of Beira, conditions on the ground improving and more international help arriving, vital aid to those hit by Cyclone Idai should now flow more freely. Mozambique’s former president, Joachim Chissano, was at the press briefing and said authorities “did what they could” to warn residents. Chissano asserted that it would take three years to rebuild the city of Beira. From an Associated Press report published at the UK’s DailyMail .com on March 25. Reprinted here for educational purposes only. May not be reproduced on other websites without permission from the Daily Mail. NOTE: Before answering the following questions, read the info under “Background” and watch the videos under “Resources” below. 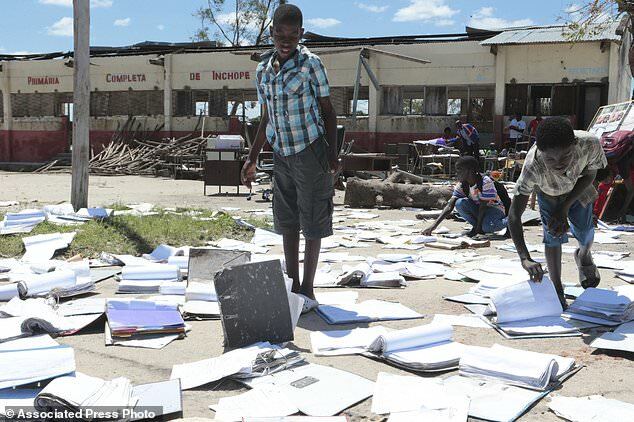 b) How many people are known to have died as a result of Cyclone Idai? d) Cyclone Idai caused severe flooding and loss of life. Why are officials more hopeful at this point? 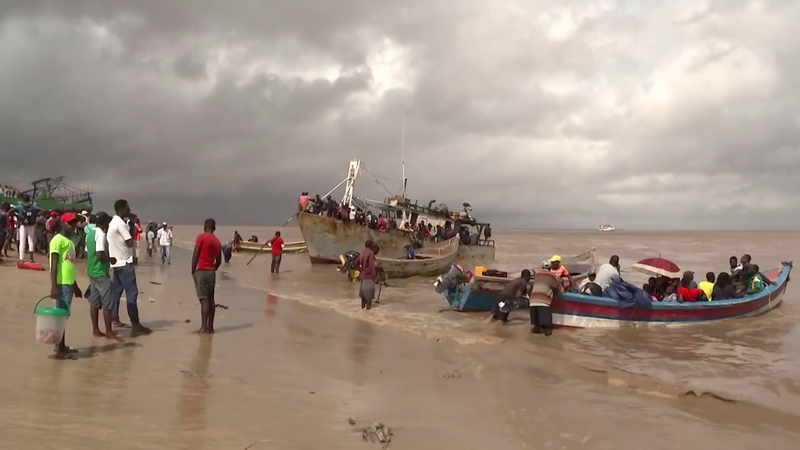 The storm made landfall near the port city of Beira in Mozambique’s Sofala province on March 14, packing winds of up to 106 mph and bringing torrential rain. 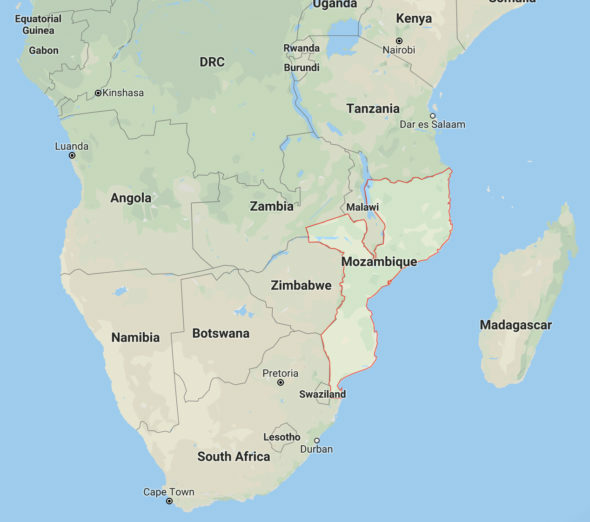 Floods of up to 19 feet deep have caused “incredible devastation” over a huge area in Mozambique, the World Food Program has said, with homes, roads and bridges washed away. The current flood zone is estimated to cover 1,200 square miles. 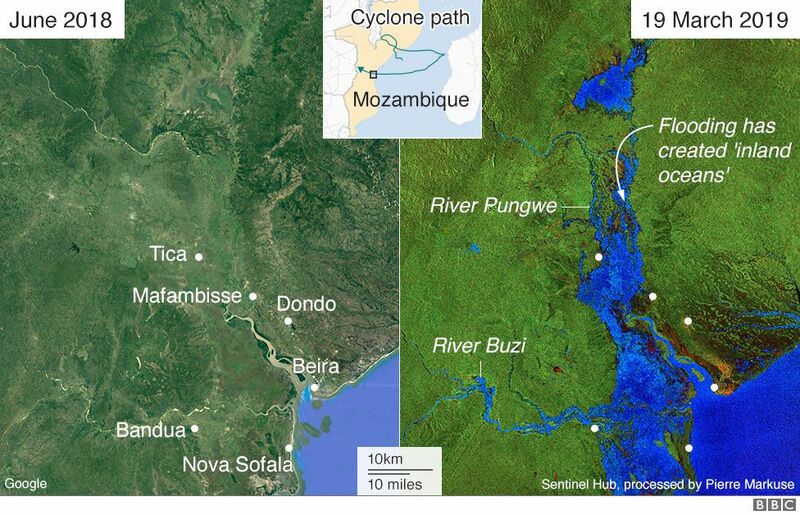 But the worst of the flooding has been in Mozambique, with rivers flowing downstream from neighboring countries. The area close to the River Buzi west of Beira has been particularly hard-hit. 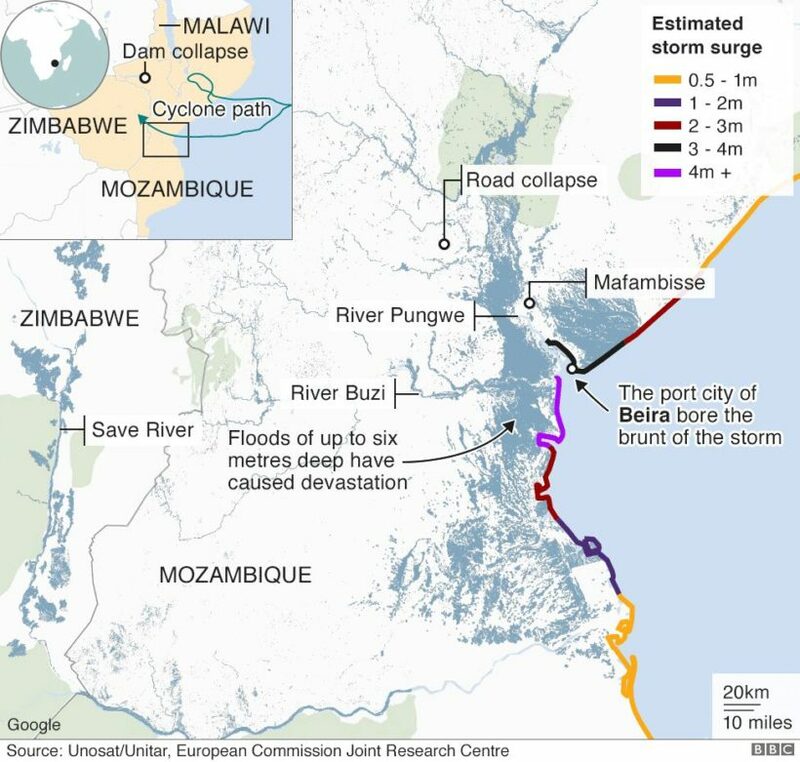 The storm first struck Beira – Mozambique’s fourth-largest city and a port that sits on the mouth of the River Pungwe. Its geography, with parts of it lying below sea level, makes it vulnerable to severe storms.